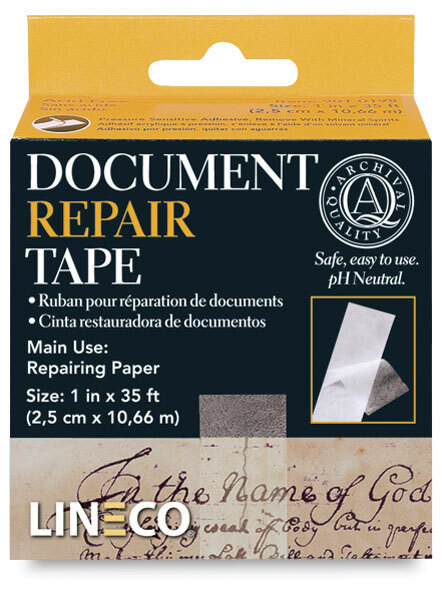 For repairing torn documents. 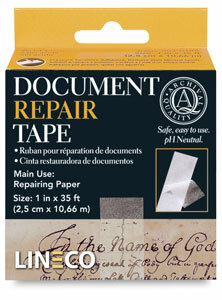 Thin, extremely transparent, pressure-sensitive archival tape. Acid-free, safe, non-yellowing, and reversible. Dispenser box contains 98-ft roll.